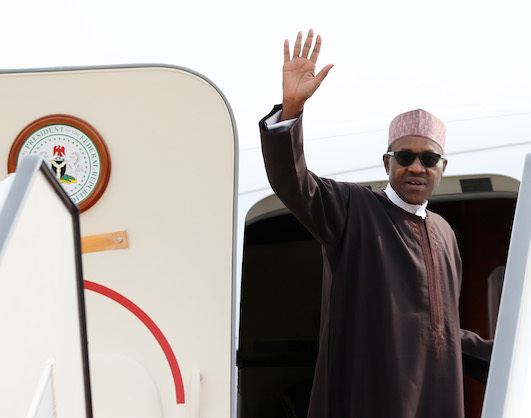 The President, Muhammadu Buhari is ready to jet out of the country again. This time he is travelling to Washington DC, the capital of the United States of America to join other world leaders in the 4th Nuclear Security Summit. The President will be accompanied by the Governor of Bauchi State Mohammed Abubakar, Governor of Kwara State, Abdulfatah Ahmed, the Minister of Foreign Affairs, Mr. Geoffrey Onyeama, the National Security Adviser, Major General Babagana Monguno (rtd. ), and the Director-General of Nigeria’s Nuclear Regulatory Agency, Professor Lawrence Anikwe Dim.